One of the world’s biggest bus shows – Euro Bus Show 2012 – starts on November 6 at Birmingham in the UK, and technology provider INIT is taking a starring role. INIT will demonstrate its recent developments and technology advancements, including the on-board Electronic Ticketing Machine EVENDpc, which is equipped with a high speed thermo printer for fast operation and designed with an easy-to-use driver interface. EVENDpc handles conventional cash payments as well as smart ticketing and fitted with an ITSO compliant card reader to allow smartcard payments and acceptance of passenger passes. A 2D barcode reader can also optionally be added to enable prepaid ticketing via mobile phones. INIT says bus operators are able to optimise their fare collection system and offer maximum payments flexibility for passengers. EVENDpc is currently being prepared to provide operators with the pathway for on-board contactless bank card payments. As a multi-functioning system, EVENDpc is designed to determine the highest level of automatic vehicle location accuracy. Operators can monitor exact locations of their vehicles to provide reliable real time passenger information. INIT’s Euro Bus Show demonstration will also show the technology company’s multi-client capabilities. With a data centre located in Beeston, Nottingham, INIT offers public transport operators an alternative solution for realising back office systems. The virtualized platform means that the central system is located at the data centre allowing for easy implementation and operation. Operators only need an internet co9nnection to access data and use the systems, allowing maximum user access flexibility. Optionally, multiple public transport operators can use the platform via the web with confidence in privacy. Opting for INIT’s hosted system has the potential to save operators from a lot of costs whilst continuing to enhance performance management. Savings can be made from eliminating operators’ requirement to invest vast capital towards advanced infrastructure, complex network connection installations as well as costly man power and expertise for maintenance. This lowers the entry barrier for smaller operators interested in adopting advanced ITS back office platforms. INIT’s public transport technology demonstrations run across three days at Euro Bus Expo Hall 5 T80. 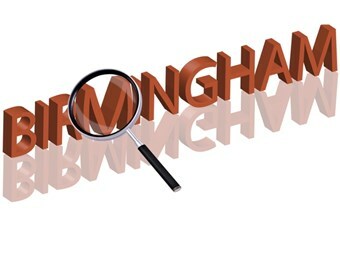 Euro Bus Expo 2012 takes place at the National Exhibition Centre in Birmingham, United Kingdom, from November 6-8. With over £20 million worth of vehicles on display and more than 260 exhibitors, the event looks set to be the largest dedicated show of its kind in Europe this year.